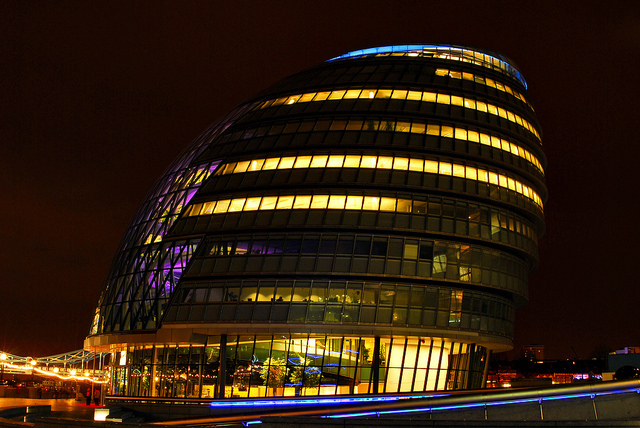 Four more candidates have put themselves forward to be Mayor of London. Photo by Richard Watkins LRPS in the Londonist Flickr pool. Man who beheaded an elderly Edmonton woman found not guilty on grounds of insanity. 10-year-old boy waist-deep in Thames mud is rescued. More than 70 firefighters called to tackle Highgate house blaze. Police are trying to track down a bogus landlord. ...while Diamond Geezer explains how TfL will be delaying those inevitable rail replacement night buses, for a few months at least. Still with TfL, here's why CityMetric thinks plans for three new road crossings stink. Pidgeon, Brooks, Kamall throw their hats into the Mayoral ring, while Goldsmith officially confirms his candidacy after being given approval from his constituents. Two Southwark pubs listed as 'assets of community value'. Electric scooter hire firm may be coming to London. Peter Watts fills his basket on Hackney Marshes. East London's getting a Boris blobfish themed café. 11 way to embarrass yourself in London. We've got a 12th: publishing a blindingly obvious list.